The Festival of Books pride itself in bringing together the past and present generations and utilizing space to create local history and an authentic experience. Through educational workshops, live entertainment, shopping marketplace, Kids Zone, arts and crafts, book signings, and author panels, it’s our goal to make Flint one of the leading destination cities in the state of Michigan for literacy. 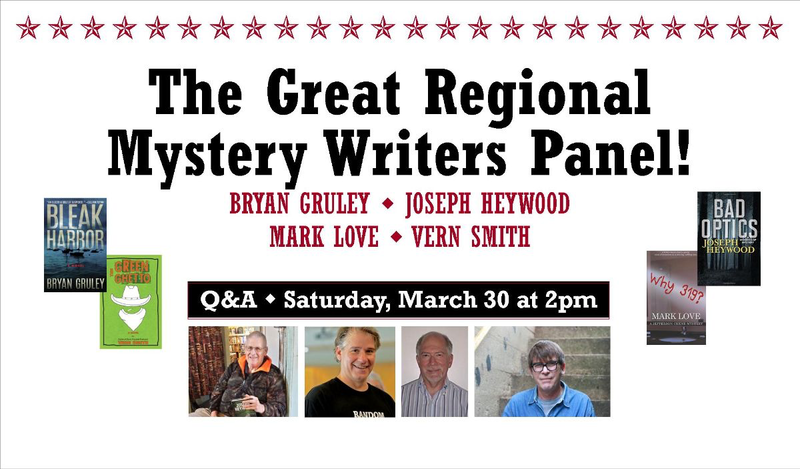 Join Bryan Gruley, Joseph Heywood, Mark Love & Vern Smith for an illuminating, informal Q&A. Expect amusing anecdotes, tall tales, some Michigan history, & a few thoughts on the mechanics of storytelling.There will be treats! Saturday, March 30 at 2 PM. This is a free event. True crime author Tobin T. Buhk’s presentation will let you take a peek behind the walls of the old Detroit House of Correction, the only Michigan prison to house female inmates serving long-term sentences, and meet some of the most dangerous women in Michigan history. NOTE: This session is limited to ONLY FOURTEEN (14) seats! Light breakfast and Lunch will be included. Join Bryan Gruley, Joseph Heywood, Mark Love & Vern Smith for an illuminating, informal Q&A. Expect amusing anecdotes, tall tales, some Michigan history, & a few thoughts on the mechanics of storytelling.